Be part of something special this September and join the Bay Hospitals Charity ‘Tour de Furness’ Team and help raise funds for your local hospital. 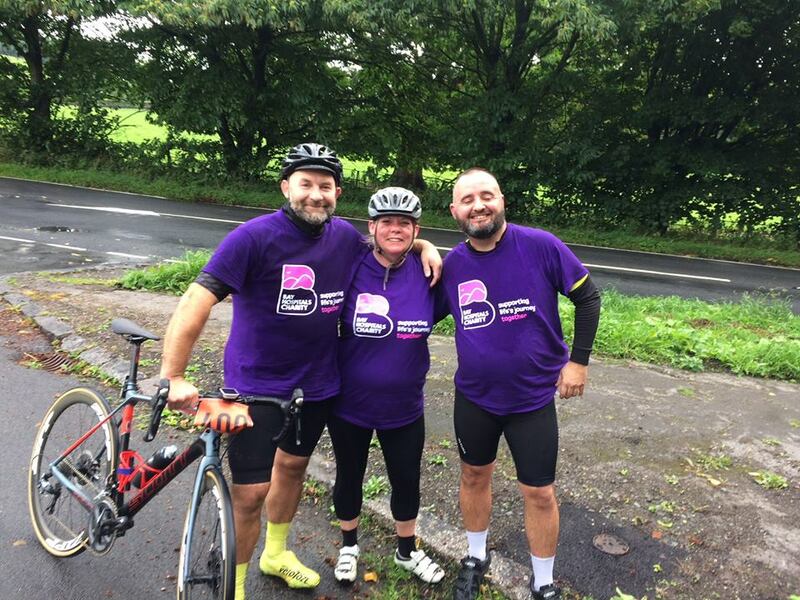 Not long to go before registration opens for this year’s “2019 Tour de Furness” charity cycle event – which takes place on Sunday 8th September 2019. 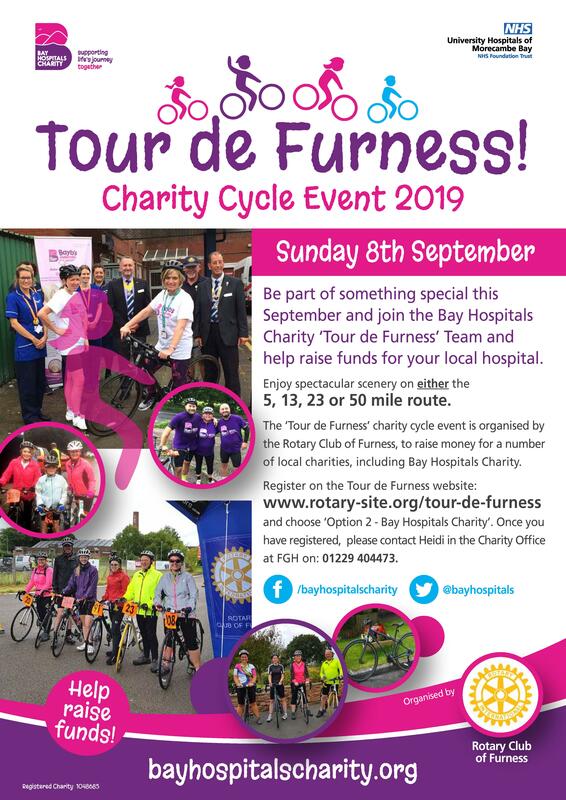 Organised by the Rotary Club of Furness, this annual event is for cyclists of all abilities to come along, have fun and enjoy a great day out, soaking up the spectacular views of the Furness and South Lakes area as you cycle. We will be posting further information about this event soon. If you are interested in signing up, please contact Heidi in the Charity Office at FGH on: 01229 404473. or email: Heidi and she will get in touch with you once registration open.